Every major app store on the mobile market today is chock-full of both free and paid apps. The ever-growing demand for mobile apps for different mobile systems has been owed to the smartphone’s increasing popularity over the last couple of years or so. And due to this trend, many tech-savvy individuals (such as mobile developers) are eager to take advantage of it by creating apps and selling them. 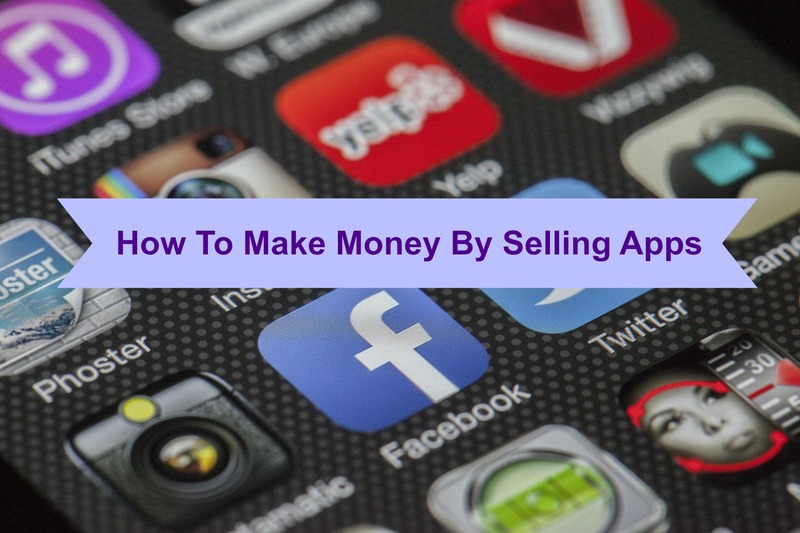 Your hard-earned app might only be downloadable for cents but when you’re selling apps and each one of them gets downloaded by a few thousand users, then you are in for good rewards. You can either develop apps for people, get your own app running or develop an app through a genuine idea and then sell it to someone else. Go to various websites and look for the top trending selling apps on the market. You will see a wide range of lists based on top grossing apps, most downloaded, free apps, best paid apps, etc. See what people are asking for. Check the comments left by people in different sections to know the limitations of even the best selling apps. If you are into music then you might want to design an app for music player with advanced features and an easy interface. Look for successful apps. You can always emulate existing apps or even make them better. Such successful apps will also inspire you to form your own ideas for a similar app. It’s also good to ask for opinions. If you might get too attached with an idea, it can result to several problems for you. Turn your focus instead to getting more feedback about the app and its idea from a number of people. You have to choose what your app will look like, you can design the layout on a paper or on Photoshop or other software. Create a draft for what you want and also look for inclusions from other apps which are similar. Often you can find useful buttons or options in famous apps which you can include in your app. You can also choose to emulate a certain app or parts of it. Give the details to a graphic developer if required so that he or she can efficiently develop your app. Also clearly mention the details to the programmer so that they know where to include a function. Choose your platform. There are a number of sources on which you can sell your app. Certain sources such as Apple have guidelines for posting apps to iTunes and review your app before it is posted. Platforms also need to be considered for their efficiency in selling apps. Apple does provide with the most hassles for uploading your app but has also proven to be the best for getting started. You have to register as a developer for publishing apps. The word developer does not mean that you have to also program them but only denotes you as a publisher of the app. Hiring a Programmer: Hiring a programmer might be hectic for you especially if you are a beginner to app selling. Post your job offer online at different locations. Elance, odesk etc. are good sources for finding freelance programmers who would create the app for you. Have a Skype conversation with the programmer. Try to have a casual interview with them and note their responses. If you find it easier to communicate with your programmer then continue or else move on. Try to avoid unnecessary delays or costs in future. Tell your requirements clearly to the programmer along with the budget so that you both have a mutual understanding. Sign Documents and Hire: Once you have signed a non-disclosure agreement with the programmer barring him or her from using your idea in the future, you can discuss your project more openly. After the details have been filled, you are ready to program. Programming: People have observed that giving the programmer small tasks to complete in the beginning is better as compared to otherwise. Large tasks can also be assigned once the programmer has successfully completed the initial assignments. Start with the icon – Ask the programmer to deliver an icon for your application. You might already have different ideas for the icon so include them as well. A simple app – Ask the programmer to develop a simple app such as “Hello World!” This app takes very less time to create and will let you know how the programmer will be delivering the apps for testing to you in future. Run a test version on your phone – An “ad hoc” needs to be created for an app to install it on your phone and be tested. This method does not include any App Store and can be simply run on your phone for testing the app. Do not stop testing your app until you release it. Go through different features to make sure that they are running. Often there have been problems where a feature which was working before suddenly stopped working. Get others to test your app. Try different people for evaluating your app. This will give you a preliminary idea about your audience and might be crucial for making any important changes before your app goes online. You can choose to sell the app to different people. It is better to sell apps to people who might have use for them instead of having unmaintained or stranded pages for people to read. This is specially a good option if you do not want to manage any accounts or pages once your app is finished. You can also post your app to different app stores. Ask for help from your programmer on how to post apps to market but do not share any login information with anyone. If you are selling your apps to someone else then you can contact them through email, phone etc. You can also have a bunch of apps ready and developed for selling at required prices. Either way, you will need to market your apps through a number of online factors. Update your app on stores. For apps which are on various stores, you have to change the screenshots along with the title and description a few times to update them. Including new and relevant keywords will push your app above other results while searching.